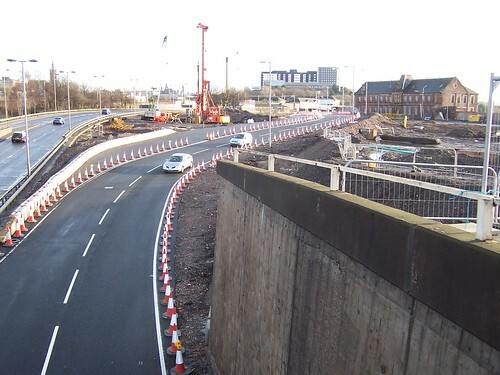 The Hidden Glasgow Forums • View topic - Scotway House, Castlebank Street. Anyone got the goods on this place? I've tried the Mitchell and The Glasgow Story but to no avail. Google only turns up spurious "private detective" agencies operating out of this derelict building. Above the entrance is a lintel with the date 1885 engraved, and despite it being completely boarded-up, the security guard next to the building said that it remains the property of Clydeport. Here's one of the photos I took the other day. This looks like the office block of Meadowside Shipbuilding Yard, 165 Castlebank Street, built in 1885 to the designs of Bruce and Hay, architects. 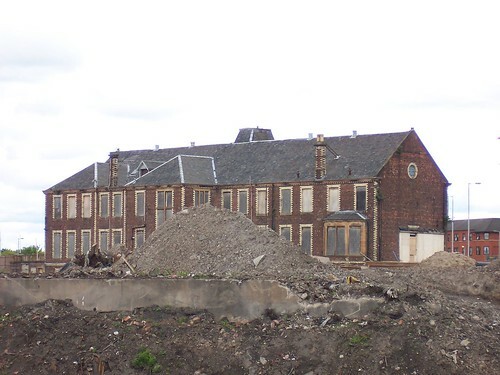 John R Hume (Industrial Archaeology of Glasgow) describes it as "a two storey, 14 bay red brick and sandstone structure in French Renaissance style, with a central tower". I think Scotway was a haulage firm. 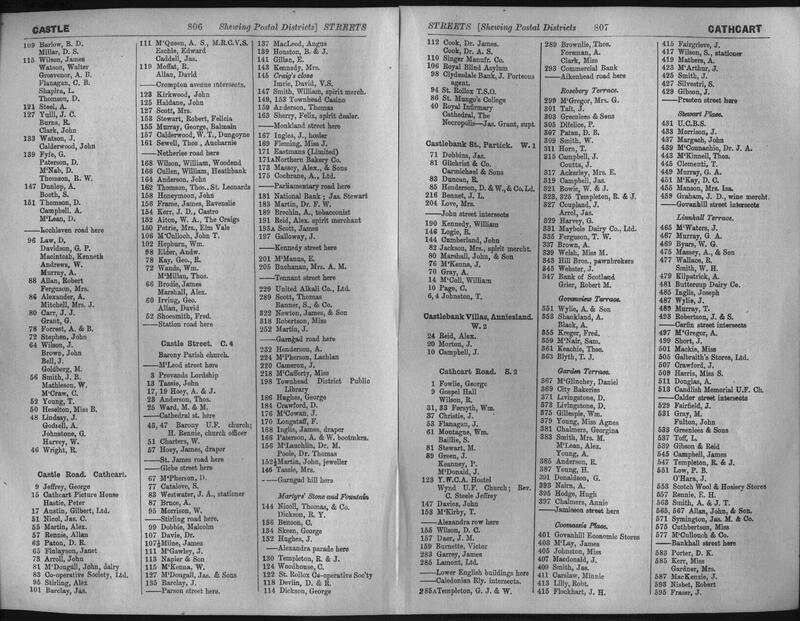 You could check the Post Office Glasgow Directory (in the Mitchell) to list the previous occupiers. I think it was the main drawing offices of DW Henderson shipbuilders. 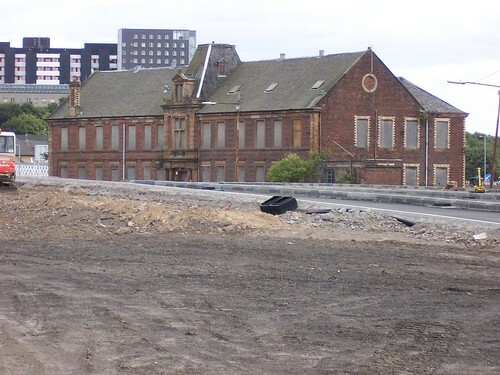 The building is listed and it is supposed to be taken down and rebuilt elsewhere within the Glasgow Harbour development. Pgcc93 wrote: I think it was the main drawing offices of DW Henderson shipbuilders. Yes, they owned the Meadowside yard. Ronnie wrote: Hope this helps. Most helpful, Ronnie. Thanks for that. Would dearly love to see what it looks like inside. Looks like D & W Henderson in the 1927 directory. There was a article in the paper (can't remember which one, could have been the Evening Times) not too long ago which said that this building, which is on the site of the new Glasgow Harbour development, was going to be taken down brick by brick and rebuilt somewhere else on the same site. I think I remeber it mentioning that it was going to be a pub or restaurant of some sort. 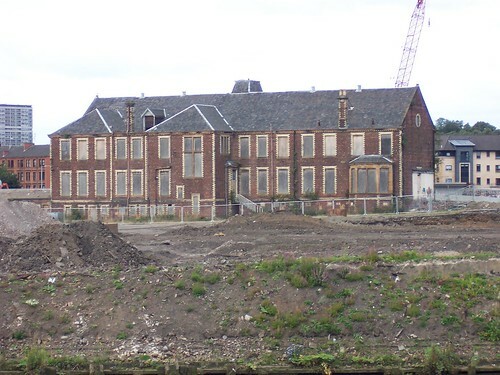 Im sure it must be listed but when you think about it this building is the only one on the entire Glasgow Harbour site that seems worth saving and is of any reusable value, the rest are just old warhouses. 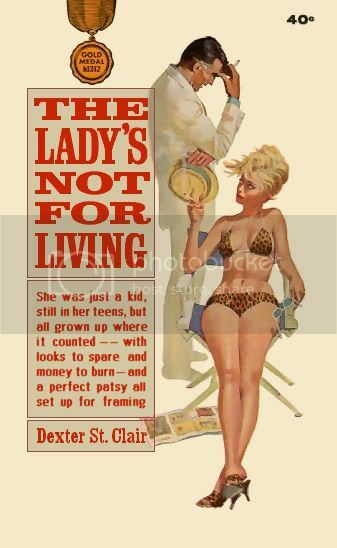 Obviously with exception to the building at the tall ship. Don't know what plans they have for that but Im sure that it will still be there when the development reaches that far along! 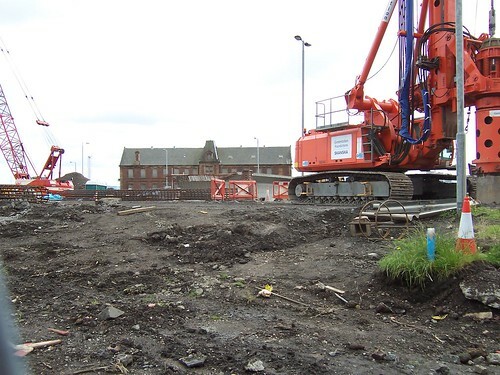 "In addition to the new roadworks the City Council have approved plans for the realocation of Scotway House and are currently considering applications for road closures and removal of the disused railway line along Castlebank Street. 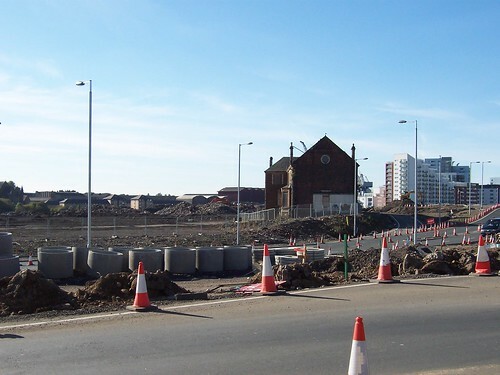 Work on the new road system, removal of the disused rail line and realocation of Scotway House are programmed to commence later in 2003." 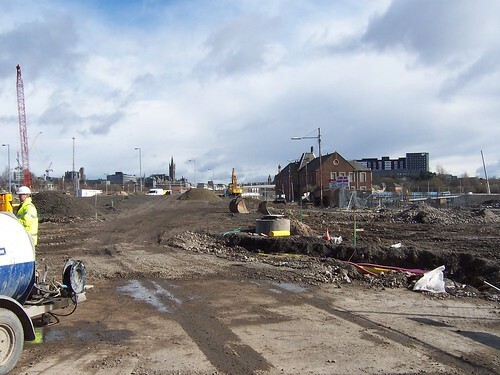 The rumour I heard was that the road layout had been redone & that scotway didn't necessarily have to move, but that the developers wanted to move it anyway. Not sure where I heard it, and info may now be out of date. It looks as if they're ready to move Castlebank House. Anyone with a camera handy? I was in the building about ten years ago, when I had to see someone who was based there. It was in a pretty bad way then, with warning signs up on some of the doors warning of unsafe floors, etc. There was a wee glass office/kiosk on the ground floor and one of the guys there told me that was where they used to issue the tickets for the folk who were emigrating on the ships leaving from Glasgow to America and Australia. He could have been spinning me a tale, but it was an interesting old building and I knew it had been a shipping office of some sort. I always thought it would have been a good idea, given its (supposed) history, to have based a family/local history centre there, pulling together the various sources of info, such as parish records, BMD and valuation records for the tourists who wanted to trace their ancestors. It would have been great alongside the old sheds (now, sadly gone), where we could have copied some U.S. cities and made them into cafes, shops and markets, linked to the city centre by a tram line. Perhaps a bit off topic about the building, but, here I go anyway. 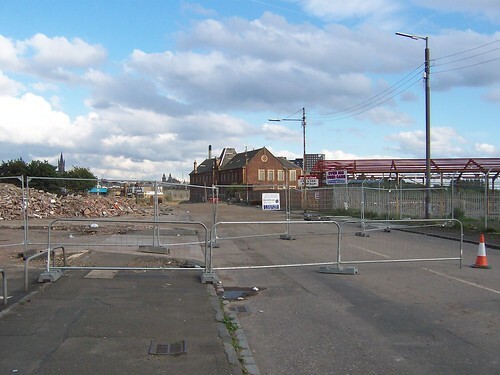 Scotway did own the building in the mid 70's I remember because some B*tch driving a big Feck off merc belonging to Scotway wiped me out in my Hillman Hunter on the Pollokshaws roundabout, being a stupid 17 yr old at the time I scrapped the car and let it drop. Should have sued the a*se off the B*tch. Hey Brucey Boy love a good rumour. Any more.